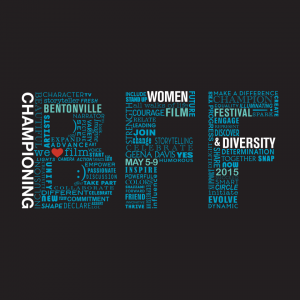 What Do We Talk About When We Talk About Film Festivals? Is it time for a "Code of Ethics" for Film Festivals? (Earlier in May the Bentonville Film Festival in Arkansas raised some shrieks of horror and loud, ironic snickers when it was discovered the fest, which proclaimed to champion women and diversity, was being sponsored by Walmart. This caught the attention of many including our own Lauren Wissot (who was not in attendance) but, rather than wring her hands and bemoan the lack of diversity at the festival, has decided to raise the idea of a “Film Festival Code of Ethics.” What do you think? Email us at HammertoNailMail@gmail.com or drop into the conversation on our Facebook page). Having worked as both a film journalist and a festival programmer I’ve seen both sides of the proverbial fence. What never ceases to amaze me, however, is how little one of those sides knows about the other. Yes, I’m talking about you, filmmakers. Where and to whom are those – sometimes outrageous – submission fees going? (Do you even know whether the festival you’re applying to is nonprofit or for profit? Do you care?) And who exactly is considering your film? (Is an actual human being even watching your labor of love?) Or do you just sit back and assume that if an organization has “film festival” in its title and hangs its shingle on Withoutabox, it must be “legitimate”? I suppose it was inevitable, but we’ve reached a moment in time when not only can anyone make a film, but almost anypne can start their own film festival. This is both exciting and disheartening – a show of democracy in action in the Wild West. Which is why I also feel it’s time for a code of ethics to be crafted, a film festival “best practices” that would encourage transparency. We truly need a set of standards and protocols that film festivals can become signatories to. A Change.org petition might be one place to start. So with that in mind, I ask those on both sides of the fence – what do we mean when we call an entity a film festival? What do we demand, and what do we expect?